It truly is a House of Hope! We’ve recently returned back to Australia after a 2 year adventure as ex-pats in Santiago, Chile. 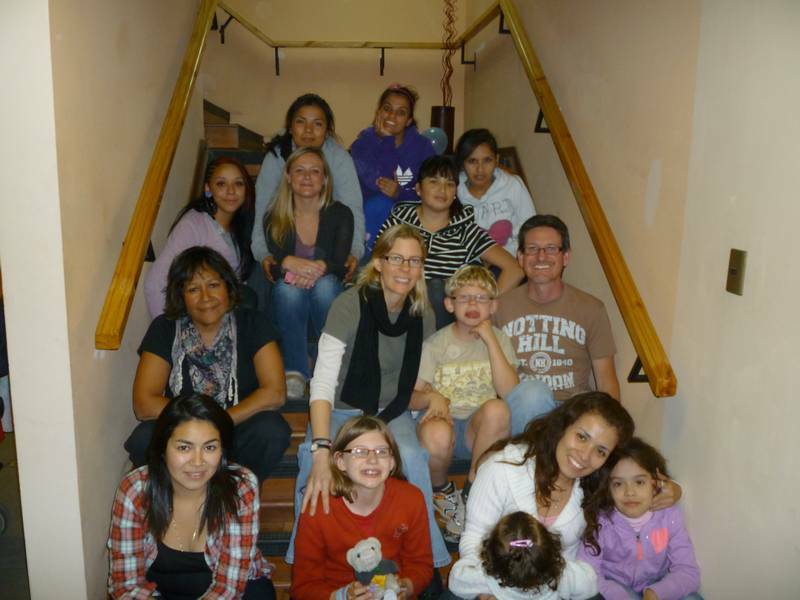 Being involved with Casa Esperanza (without a doubt!) has given me my best memories of our time in Chile. It was my life saver! Just driving through La Pintana showed me a much different side of Santiago than what I’d seen within the ex-pat ‘bubble’ you so easily get caught in. Once there – I was in my element! Everything from digging trenches, climbing ladders, banging nails, preparing walls for cladding etc etc – everyone was flat out doing whatever job needed to be done. Even our kids got their hands dirty! Still, it wasn’t the hands-on practical stuff that got my attention. It was what God was doing through all of it that was amazing. The ministry and mission of the house; the community involvement; the support teams from the US; the local (and ex-pat) support – God’s work was getting done while blessing everyone involved as well. Even with those from non-Church backgrounds that were there helping – I don’t believe anyone could visit Casa Esperanza and not get the sense that something ‘more’ is going on. Something special. Something spiritual. Something ‘God’. I was privileged to be able to return a few times with my family for ‘work days’, as well as a number of other evenings & special requests to help out. I got to see the ‘sparkle’ in the girls living in the house, the involvement in the local schools, the weekend music program, the tireless local volunteers offering their time on weekends – it showed there was something there to proud of; something clearly making a difference. I felt honoured to get emails from Daniel asking if I could drop in and help out with even the seemingly menial tasks. I got to do everything from cleaning & sweeping rooms to cutting and laying 2nd-hand carpet, building bench seats for the kids from scrap wood & recycling nails to build a table. Through that, I had the opportunity to spend time with a few local kids (practicing some bad Spanish!) as well as bring along some parents from my kid’s school. God can use the simplest things to be an enormous blessing to others! We too easily forget that life exists outside of our comfort zone. When Daniel recently showed me the dirty old 2nd-hand carpet – I got excited! The previous week, the kid’s Vacation Bible School only had bare concrete to sit on. The following week – they could kneel without grazing their knees! Used carpet? Nope – a blessing! Casa Experanza is a place that survives through faith and its obedience to God’s purpose. Beyond the small things we were able to contribute, God blessed my entire family enormously just by being part of such an awesome mission. It truly is a house of hope! The work of Vision For Chile is made possible by people who pray, give, and go. 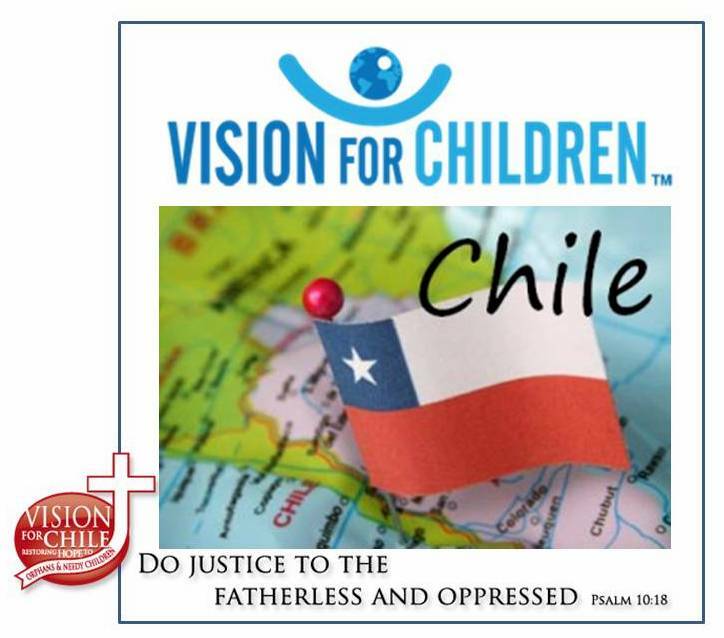 If you would like to contribute to the building fund for Vision for Chile, you can send a check to: Vision for Chile 1176 Olde Cameron Lane Franklin, TN 37067 Include your name and mailing address and you will receive a tax deductible receipt. or Donate by credit or debit card through Paypal. Next Post Lily, We can have a better future.